Once your child masters addition with carrying, there's practically no number too big for her to add. Nine hundred and ninety-nine plus eight hundred and seventy-two? That'll be no challenge for your maths savvy student! Get her the practise she needs with this worksheet. 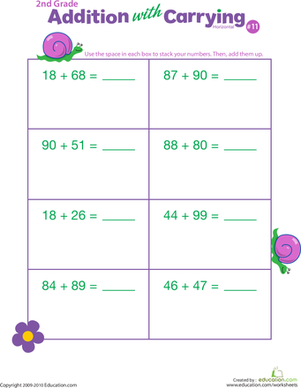 If addition with carrying is getting your second grader down, have her complete this colorful worksheet! 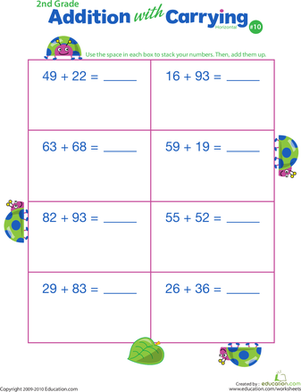 In this year three maths worksheet and coloring page, children practise addition with carrying, then colour in the monsters adorning the page! Rewriting each addition problem and solving using carrying will provide your second grader with valuable double-digit addition practise! 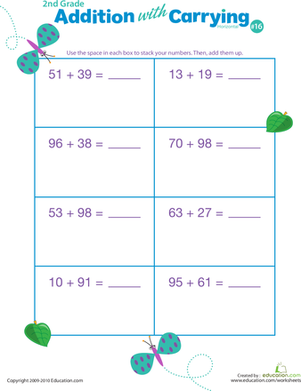 Will your second grader practise their addition with carrying and help these beautiful butterflies with their maths? 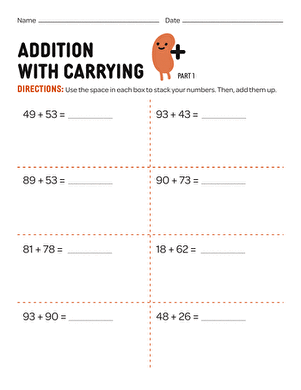 Let your child get in some extra addition practise with this worksheet perfect for carrying beginners. Give a kick to addition! 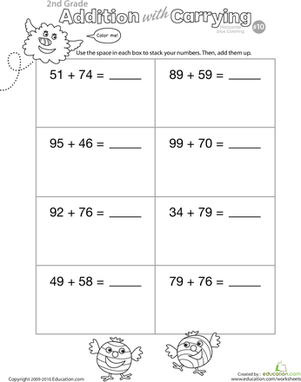 Your little maths ninja can practise two-digit addition and carrying (also called regrouping) with this worksheet! 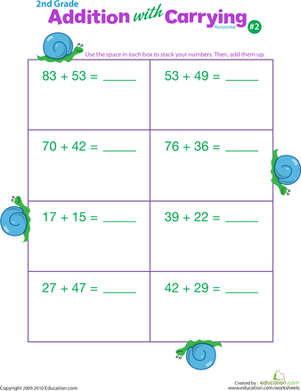 Your second grader won't mind practising addition with carrying with the friendly snail companions adorning the sides of this worksheet! 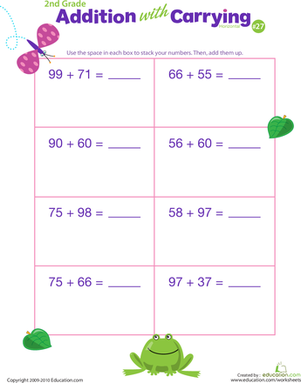 If your second grader is struggling with carrying, this adorable worksheet will provide some valuable double-digit addition practise. 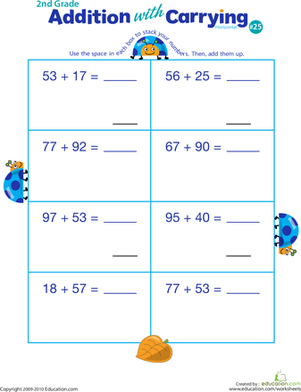 Watch your second grader's maths skills skyrocket after completing this printable (along with the rest of the set) filled with addition with carrying problems. 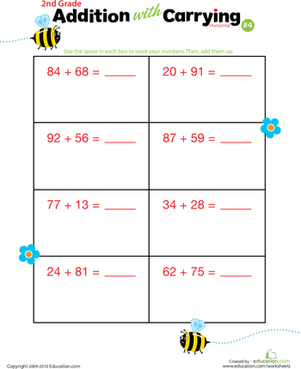 With the help of this printable's adorable bee embellishments, your second grader will simply "buzz" through the fresh maths concept of addition with carrying!